In a changing world and with the growing concern for the environment, it is essential to be able to offer your customers ecological choices in terms of disposable, recyclable and biodegradable tableware. Today, many customers are more likely to buy your food and dishes if you offer the option of recyclable and compostable tableware, cutlery and kitchen accessories. Whether you are a caterer, a bistroor restaurantowner, hotel manager, or take-out restaurant, Solia offers a wide range of disposable catering tableware, which is elegant, stylish, practical and recyclable and/or compostable. Lookthrough this guide to learn more about all the possibilities available to you, in terms of compostable and recyclable materials, glassware, tableware, cutlery and food packaging. What are the disposableand reusablematerials available for cateringtableware? With the evolution of the recycling technology, the plastic has become easier to recycle, even for the food-related business. Butthis is not the only available material out there. Here is an overview of each material that we use to create our amazing disposable catering tableware collection. As we have mentioned before, plastic is now much easierto dispose of and to recycle. Plastic can withstandhigh and long temperature and stands out by its versatility.Solia creates high-end plastic catering tableware, cutlery, glassware, and catering accessories with sustainable plastic that is 100 % recyclableand reusable.You will find plastic trays, plastic plates, plastic mini-dishes, plastic cutlery and more! First, using disposable sugarcane pulp tableware reducespollution and energy consumption. Sugarcane dinnerware is extremely durable and will not deteriorate when handling oily, cold or hot food. Also, they are microwave safe. Finally, all sugarcane catering tableware canwithstand various temperatures, from 10°F to 428°F.Solia provides you with an amazing selection of sugarcane bowls, sugarcane takeout packaging, sugarcane plates, sugarcane spoons, and more! Arrived on the market about a decade ago, disposable palm leaf catering tablewarehas a wood-like appearance and is very prized in catering. Palm leafis100 % biodegradable and is highly durable. All palm leaf tableware ismicrowavable and can be used to heat leftovers or frozen meals. Finally, every piece of sugarcane tableware ismoisture-resistant, so they will never get soggy or deformed. Besides being highly cost-effectiveand elegant, bamboo tableware is extremely durable and resistant. They are safe for the microwave, refrigerator, and oven, thusmaking them one of the best choices for businesses who want to go green (restaurant, bakery, bistro, hotel, catering business, etc).Solia wants to provide you with asleek, high-end bamboo tablewarecollection, such as bamboo plates, bamboo bowls, bamboo skewers, bamboo cutlery and more. Cardboard used to create our amazing recyclable tableware at Solia is certainly not your average cardboard. Cardboard used to create takeout packaging, plates, trays, and macaroon pyramids is highly durably and moisture-resistant. 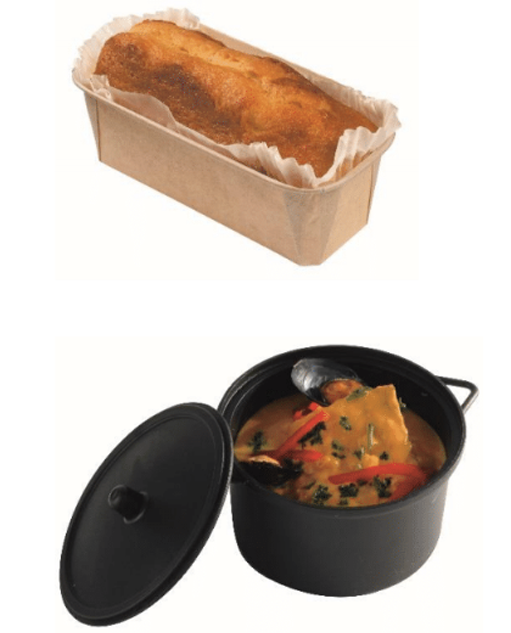 Perfect for takeout restaurants, bistros, cafeterias, and bakeries, our cardboard tableware is also microwavable and 100 % recyclable. For centuries, wood has been used to create tableware, utensils, spoons, bowls, and a multitude of reusable and recyclable tableware. Wood brings a certain elegance toyour tableware choice. You can use our wood punnets in fruit and vegetable stands and takeout restaurants. Our wooden bowls are perfect to carry a lunch, or a meal in a bistro or cafeteria. Finally, our wooden mini-crates and palletscan either carry or display food and be reused countless times. All our disposable wood tableware and accessories are 100 % recyclable and reusable. 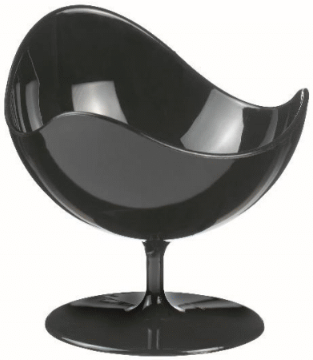 You may think that glass tableware is fragile and brittle, which can be rather impractical for catering needs. Solia keeps in mind to create glass tableware that is highly functional, but also that can present fool in an elegant and eco-friendly way. All our glass tableware is 100 % reusable and dishwasher safe. Our glass tableware collection includes glass cups, glass mini-cups, glass trunked tubes, glass mini-dishes and glass appetizers spoons. What is the disposable tableware that you should get? It really depends on what type of business you want to use your disposable tableware in. If you own a take-out restaurant, you will not use the same type of disposable tableware as if you work at a catering company. However, there are disposable tableware items that remain essential, regardless of your type of business. Here are some examples of disposable, reusable and biodegradable tableware that you should always have on hand. Whether you are serving food at a restaurant, a cafeteria, on a catering event, or at a hotel buffet, plates are the very basic tableware that you should get. Having plates of multiple sizes will allow not to be caught off guard. 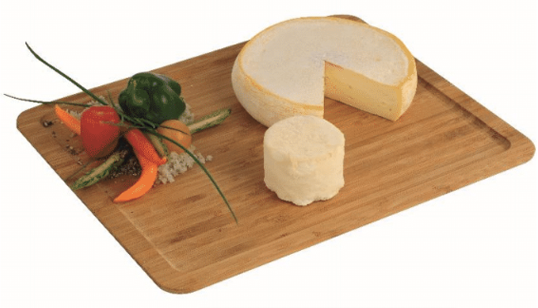 Be sure that with Solia, you will have than your average-looking, white plastic plates to serve your guests and customers. Disposable plates must be sturdy, elegant, functional and sustain variable temperatures.You can choose among plastic plates, sugarcane plates, bamboo plates and palm leaf plates. Whether it is to serve a fresh and crisp salad, a heart-warming soup or a Vietnamese pho, you will need disposable bowls for your food-related business (restaurant, takeout restaurant, catering company, cafeteria, parties). 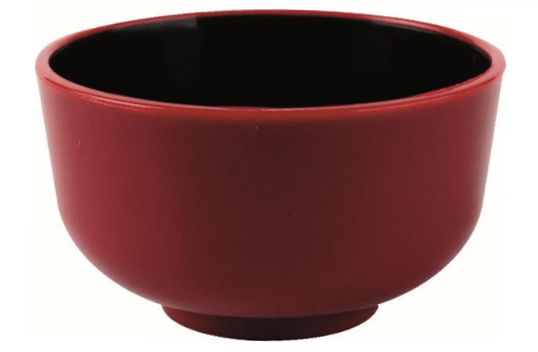 Solia has created a vast selection of bowls made with 100 % recyclable, compostable, or reusable materials. 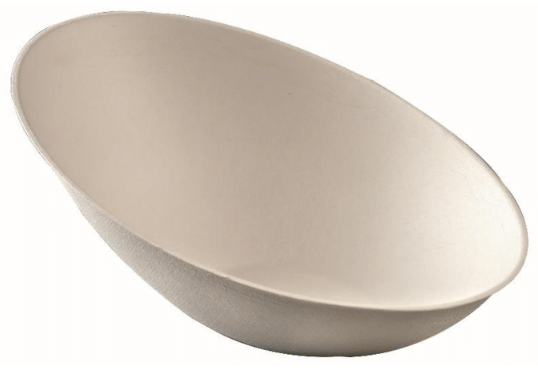 Some of our bowls are even microwavable and dishwasher safe and can sustain temperature variations. Some of our bowls come with a lid so that your customers can take their disposable bowls at home. Our collection includes plastic Thai bowls, plastic salad bowls, bamboo leaf bowls, sugarcane pulp bowls, laminated wood bowls, and palm leaf bowls. Hors-d’oeuvres, appetizers, entrées, desserts, pastries, they all deserve a canvas to beboth attractive and delicious to your guests and customers. Serve your food with confidenceand without hasslewith high-enddisposables trays, made with 100 % recyclable, compostable and reusable materials like plastic, cardboard, sugarcane pulp, and wood. Multiple-section trays may also be used in cafeterias, bistros, and takeout restaurants, to serve fresh food to your customers, so that they can bring it home and dispose of it easily. Finally, we can provide you with slat trays (also called slate plate), and slate trays, that mostly come with a tray or couple. When you serve drinks, hot beverages, and refreshments, you don’t want your glassware to look ordinary, blend, or fragile. Whether you are a restaurant owner, a catering business, or even an event planner, serving drinks remains a priority and you want to have glasses, cups, anddrinking accessories, that are not only practical, but also elegant and 100 % recyclable. Solia makes sure that you have eco-friendly paper cups for coffee, disposable champagne flutes, recyclable paper straws, recyclable coffee cup lids, disposable wine glasses, and more to offer drinkswhile being environmentally friendly. When working in a takeout restaurant, a bistro, a cafeteria or even a catering business, you want your takeout packaging not only to be practical, but also to be elegant, strong, and (as much as possible), eco-friendly. Solia wants you to be proud of the takeout packaging that you offer at your customers for meetings, parties, picnics, bistros, bakeries, and restaurants. Our disposable takeout packaging collection provides you with eco-friendly and high-end takeout catering supplies that includes cardboard burger and sandwich boxes, 5-section plastic trays, fries pockets, sugarcane lunch containers, wood salad containers, noodle craft boxes and more. All our disposable takeout packaging is 100 % recyclable and / or compostable and can sustain temperature variations. We have all seen boring and fragile white plastic utensils and cutlery in a buffet, picnic, party, or catering events. Utensils are essentials to have for any food-serving business. Stand out withSolia’selegant and eco-friendly disposable utensils and cutlery that will not only be 100 % recyclable, reusable, and / or compostable, but will also be sturdy and that can withstand temperaturevariations. 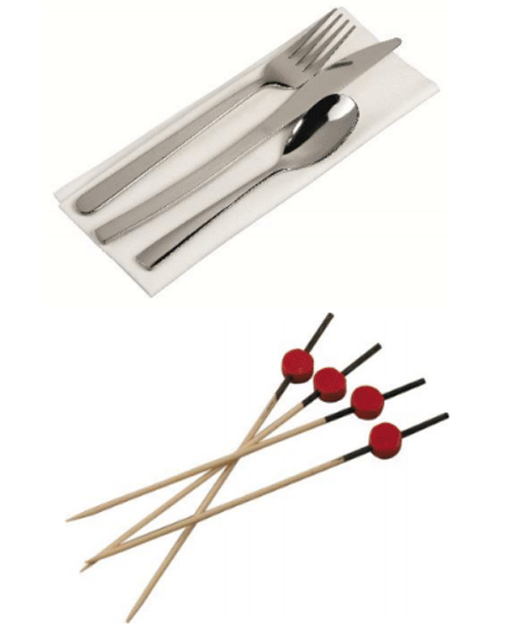 Our collection includes plastic cutlery setwith napkins, packaged cutlery sets, elegant Baroque skewers, bamboo tongs for salads, bamboo pearl skewers, silver needle skewers, plastic pipettes for sauces, and more! Whether you own a catering business, a restaurant, a bistro, or coffee shop, containers are a part of your daily routine. 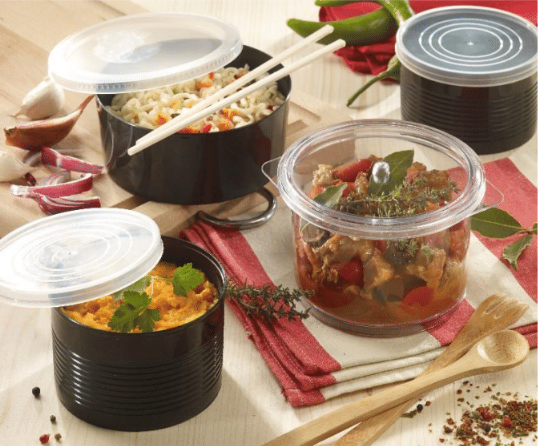 Nowadays, there is a container for a particular purpose: a container for salads, a container for hot meals, a container for soups, a container for cooking (yes, we have some), containers for meals, and much more.Solia offers you a vast selection of disposable high-end containers for all your needs. 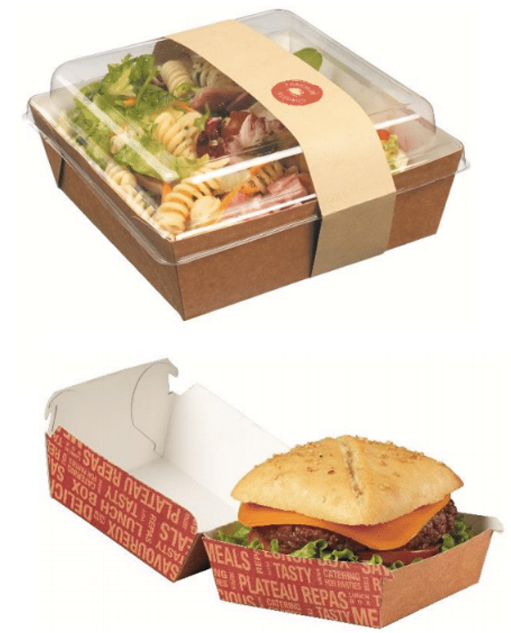 All our disposable individual and portion containers are made either of plastic, kraft paper and cardboard. Each disposable containeris 100 % recyclable and / or reusable, can withstand temperature variations and are highly practical. 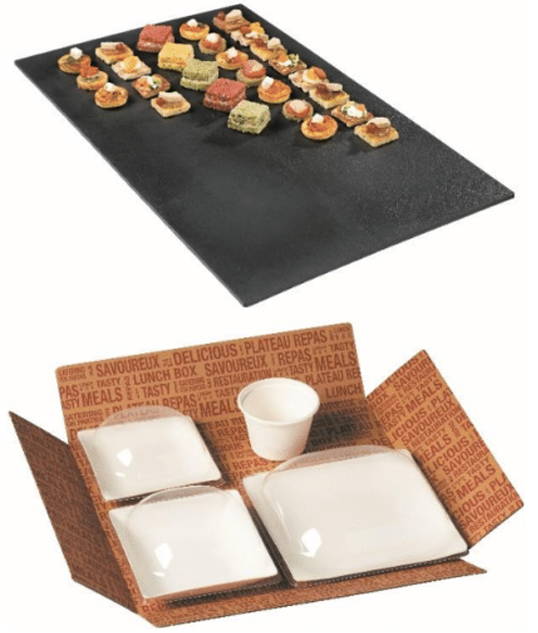 You’re planning on hosting a food-tasting event and you need the best disposable mini-dishes to promote your food-serving business? Mini-dishes that are both practical and elegant can sometimes be hard to find. Solia’s disposable cups mini-dishes are made from 100 % plastic and can support temperature variations. They come in a variety of shapes, sizes and models that you can use for multiples purposes: desserts, entrees, appetizers, hors-d’oeuvres, and for food-tasting. Solia’s cups and mini-dishes collection stands out by itsoriginality, sustainability, and durability. When you are entering a bakery or bistro, nothing smells better than a freshly baked cake, a delicious pie or a golden-crusted bread. Disposable baking molds and cooking pots give you the opportunity not only to cook hot meals for your customers or guests,but also, once you are done with your mold or cooking pot, you can either compost it or recycle it. All our disposable baking paper molds are made to be 100 % recyclableand compostable and tobe oven safe. You can use them to cook cakes, pies, and quiches. Disposable cooking pots can be used to offer hot food in individual portions for a buffet, food-tasting events, parties, and receptions. They are 100 % recyclable, oven safe, and microwavable. If you have questions about our disposable catering tableware, our prices, our services, we invite you to contact us by phone or email. Ask us about our new products, our wholesale prices and our designs. Solia’s team will be pleased to share its knowledge with you and to advise you on whichdisposable catering tableware you should get for your business.